Usually the 3 products you would be using to cover up your acne or acne scars are foundation, concealer and finishing powder. It’s vital that you invest in a brand that is well recognised for quality in terms of ingredients etc. 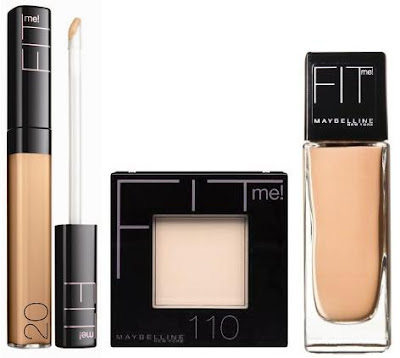 Bare minerals, makeup for ever products are known to be good for such skin. Do not compromise on these 3 products if you have acne as some cheaper foundations might give you negative reactions producing more breakouts! IT’S VERY IMPORTANT TO CHECK THAT THE PRODUCTS ARE OIL-FREE, HYPOALLERGINIC PRODUCTS SO THAT THEY DONT CLOG YOUR PORES AND WORSEN YOUR ACNE! Start with clean hands and clean face after moisturizing. 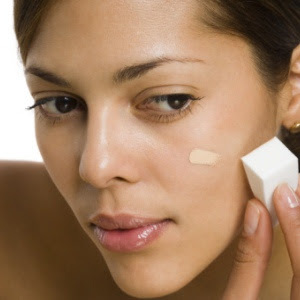 Use a disposable makeup sponge (latex free is the best) pat the foundation onto your face softly don’t rub! Always use a light hand and start with little product only and if your not satisfied add some more. But remember using more products can emphasis your acne rather than concealing specially if you have dry areas. Try using your hands for this making sure it’s sanitised. Take a little product and dab over pimple (DONT EVER PRESS ON YOUR PIMPLE, THIS ONLY PUSHES THE BACTERIA DEEP IN THE LAYERS OF YOUR SKIN). Use powder ONLY to the areas you get oily. For most people it’s the T zone that is the forehead and nose area. Use a powder puff and pat the powder onto your makeup this helps to deposit powder and mattify the area rather than rubbing away what you already applied. Use clean hands! I can’t stress this enough. Make sure your hands are washed well in warm water or sanitised before touching any product. This would help to keep your products clean aswell as avoid bacteria getting transferred to your face. Try to use disposable applicators. That is for applying foundation, concealer and finishing powder. Use disposable cosmetic grade facial sponges for application of foundation and also for concealers. And use disposable powder puffs for application of your powder. This again contributes for avoid bacteria transfer! Avoid using applicators that come with the product! If you use them once you will make a habit of using them over and over again so throw them away as you buy your product. Applicators like this puts in more and more bacteria from your face back into the product. Be gentle with your makeup application, always make sure that you patiently dab foundation all over your face rather than rubbing it, irritating skin also adds to more breakouts! Use your fingers whenever possible ( but remember they should be clean! ) your fingers are the most gentle applicators for you as they warm up the product and blends it in effortlessly. Use a moisturizer and your acne treatment underneath your makeup! Just because your skin is oily doesn’t mean you should avoid moisturizers! One of the best moisturizers at an affordable price is the cetaphil moisturizing lotion. Also if you’re under acne medication, apply it after moisturizing so that your acne is treated while having makeup on. After you return home be sure to remove your makeup! This is important so that your pores can breathe again. Oxygen is vital to kill bacteria that’s causing pimples on your face so e sure to do this. Many people just wash off their makeup with soap or cleanser but this is NOT ENOUGH! This does not take off all your makeup as your just washing off your makeup from the surface. Try using a facial brush instead or if you have the money, invest in a clarisonic! Did you like the tips? Have you tried them if you have acne prone skin?